I finally did it! 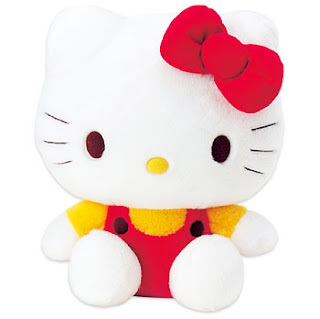 I got enough funds to buy my big Hello Kitty plush, the 22" tall one. I am so excited to get it in the mail soon. The lady who works at my apartment complex's manager office must think I'm crazy because I regularly get packages coming through their small pick up mail room. I love my apartment so much because USPS, UPS, and FedEx never leave my packages on my doorstep if no one is home. I used to live in an apartment where the mailman just left the package at the doorstep without leaving a pick up notice. He did it so many times that I literally had to get my own post office mail box because I had been afraid someone would just take my package.